One thing I've grown to love is watching my daughters dress themselves in ridiculously pretty dresses. These are not playground dresses, mind you, but spectacular sequined and tulle creations designed with dress-up in mind. Through trial and error we've grown to love a few specific brands for their successful combination durability, comfort and gorgeousness. 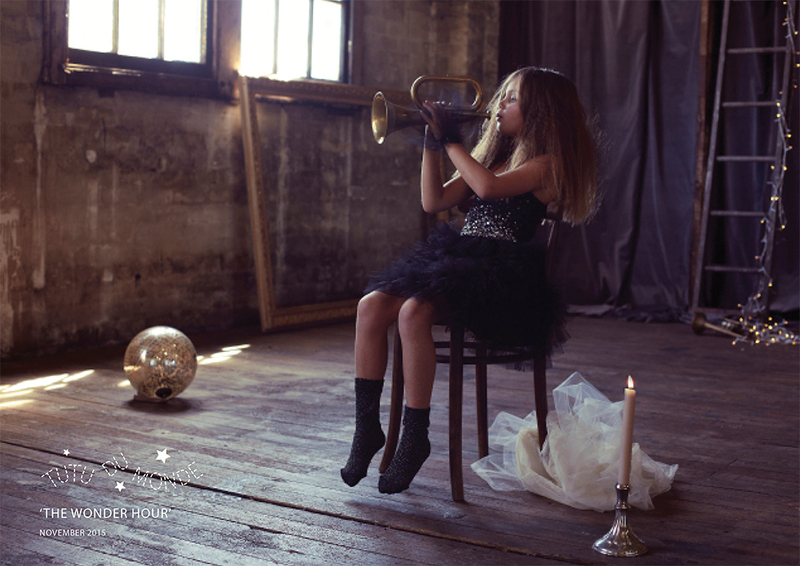 Dolly is one brand we absolutely love, another is Tutu du Monde (shown above). What is interesting is to see how children are genuinely different from birth. My oldest is just as likely to have her hands in the dirt as she is to be decked out in leopard dresses and sparkly shoes. But my youngest? A girly diva from birth. This little one has been puttin on costume jewelry since she could crawl and never met a fancy dress she didn't want to wear all day long. While you may be used to the style of costumes found at Target & the Disney store, let me share with you the difference with these two brands. There are no scratchy seams, no itchy tulle and no rough fabrics touching the body. Both of my children are extremely sensitive to discomfort from seams and other seemingly invisible itch-inducers found in most dresses. The care and craftsmanship of the Tutu & Dolly dresses are beyond words. Luxurious layers of tulle, hand-sewn embellishments and exceptional materials are what you will find. Let's talk durability. Time and time again we've fallen for those "good deals" via the discount costume dress sites online. They never fail to disappoint in terms of feel (cheap) and value. A single wear results in torn hems, ripped seams and a general feeling of disappointment. My girls dress up so much (it's a daily occurrence) that I don't mind focusing on the higher quality items and owning fewer of them. Since J. Crew sells a handful of this brand I can always keep my eyes open for a sale and pounce when our size/color/selection combo is available. If you're looking for dresses that evoke the feelings of magical fairytale moments with the sun hitting her hair, a sparkly tiara on her head and a huge smile on her face... this is your brand.